COMMENTS: These worked out great. The caps snap right on. Not too loose not too tight. I will be ordering more in the future. COMMENTS: Works well for lip balm. "Perfect for lip balm needs"
COMMENTS: Was extremely happy with the oval lip balm tubes. Remember to purchase the filling tray because it makes filling a snap. Definitely will be ordering them again in the future. COMMENTS: Good quality and great price. Durable and easy to use. COMMENTS: I used these tubes for lip scrub and they work great. If the scrub is very heavy with sugar, do one, then test by cooling then giving the tubes a little twist to make sure the sugar concentration is not so great that it is hard to turn.The concentration can be reduced by adding some more of the scrub base that contains no sugar. The convenience of using these is well worth the process. COMMENTS: Good quality, great price. "Great for my Vitamin E Sticks"
COMMENTS: Love these tubes. Customers love them also. Easy to label. COMMENTS: I love these little tubes. The quality is great and i love the oval shape. I use them for lip balm and lotion bar samples. A must have item. COMMENTS: I have not had any issues using these tubes. They do what they are supposed to do. Maybe its just me but when using this to apply balm on my lips, it feels strange having to hold it at a different angle because we are all so used to the round sticks. Anyways, they hold the same amount as a round tube and these look more stylish. I would love it if they carried this style in black. COMMENTS: Love these and unique. COMMENTS: I love these tubes. They don't roll off the table when a customer leaves them out. COMMENTS: I got a set of these with the Peach lip scrub kit and they're good. I had no problems with these other than because of the shape it could be difficult to get the product into them without making a mess. I would make sure you have a a smaller than usual sized funnel if you are going to use these. COMMENTS: My daughter make lip balms and will only use these! COMMENTS: My favorite tube to use. "I love these lip balm containers. " COMMENTS: Love the oval tubes ..makes my product stand out from the rest. COMMENTS: I purchased these specifically for the shape. I love the ease of the shape which makes finding it in my purse the easiest! Customers love the shape as well. COMMENTS: I love the shape of these tubes, they are oval and very attractive. My daughter saw the shapes and exclaimed "Mommy I love these, they will attract customers because they are different" Ordering more. ".15 White Lip Tube & Cap - Oval"
COMMENTS: These are so great - customers love them! We use them for Solid Perfumes and Purse/Pocket Lotion Bars and can not keep them in stock. So easy to fill, label and sell! Just the perfect size and the white looks great with our labels and other product containers. Your shrink wrap sized for these tubes is easy to apply and keeps our balms/perfumes safe from sticky finger prints and nasty germs. We'll be ordering these on a regular basis from now on. Thanks again WSP! "Everyone LOVES this shape "
COMMENTS: All my customers love this shape. Fits nicer in jeans pockets, feels great in hand. My regular lip balm labels work interchangeably on this shape! COMMENTS: I like these tubes much better than round ones. They're classy. COMMENTS: I love these lip balm tubes! Their oval shape makes them more attractive to my customers. And that equals more sales! "Oval Lip Balm Tubes are top of the line"
COMMENTS: I love these Oval Lip Tubes and caps! My customers love how they lay in their pockets and the tops don't creep off like the round lip tubes. If you haven't tried these oval tubes you need to. "WHITE LIP TUBE AND CAP"
COMMENTS: A GOOD PRODUCT FOR THE MONEY. WORKED WELL FOR MY LIP BALM. COMMENTS: Oval shape sets them apart and oddly, they appear to be larger than the round tubes. Over the years I've had many problems with the caps not sticking on round tubes-not so on these. They push on tight. Look great, work well. COMMENTS: These seem to really appeal to men. My husband will take one out at work and he comes home with orders all the time. "Unique tube great for many things"
COMMENTS: I used this to make a travel anxiety relief stick. I like the shape of the tube as it sets it apart from regular chapstick tubes. The only problem I ran into with these is that they get dirty easily. They collect dust and it shows a lot on the white bottle. The function of the tube is great. I will definitely use again. "Everyone love the shape of these and so do I thank"
COMMENTS: These are great very comfortable in your pocket. I generally use the translucent, however they were out of stock and I needed some. I bought the white one. I like to be able to see through though. I will not be buying them again only for that reason. COMMENTS: I ordered $15 worth and flew through them. Love the oval tubes!! These are high quality & a good price. Very pleased,and ordering more. "Oval Lip Tubes are the Best"
COMMENTS: I switched to the oval lip balm tubes about 4 years ago. My sales have tripled. They are easier to fill, don't roll when capped and the label is easy to read. A great move for my company. COMMENTS: Easy to fill. I love the fact that I can find it in my bag easily because of the shape. COMMENTS: Love these lip tubes. Made many lip balms with them. Stand up easy on their own. Great price, Great quality. COMMENTS: Very good tubes. They are clean, solid, and easy to label. Excellent quality tubes. COMMENTS: I am very happy with the purchase - great quality plastic, has no odor and does not look or feel cheap. I also really like the oval shape and it's very convenient that it comes as a set (with the cap). Using it for lip balms and lipsticks! "Oval lip tube and cap"
COMMENTS: Gives a classy look to my lip balm. I like the size as it holds my label with ingredients well. COMMENTS: I love the oval shape! It's slimmer and fits much better in purses and pockets. Super great for my lip balm sales! COMMENTS: I had some trouble with the bottom leaking. Make sure that it is cool enough so that the bottom does not leak. COMMENTS: Good size for creating lip balms. The material is both affordable and durable. COMMENTS: I use these for solid perfumes. The oval shape sets it apart from the round lip balms. The tube is easy to label. This was a great value since I didn't have to purchase the cap separately. COMMENTS: Love how it is different than the "chap stick" look. Easy to fill with a pipette. COMMENTS: I will order these again. They are well made and make for an easy pour. I enjoy the unusual shape. I made a portable bug bite balm to put into some of them. COMMENTS: I like that they're different than the "regular ol' chapstick tubes". I love them for on-the-go lotion bars and the healing salve I make is perfect in these, no messes! And of course, for lip balms, it's nice to stand out a little in the crowd compared to the regular round ones. Great product! COMMENTS: These are a must have!!!! My customers love them as much as I do. They are easy to fill and label. The unique shape makes them desirable and memorable. COMMENTS: This is by far my favorite chap stick container. I love the fact that they are different and have an oval shape. Highly easy to use, I put a rubber band around 6 containers to fill them up and it works like a charm. WSP Response: Thank you for your review! Very smart idea using the rubber band. 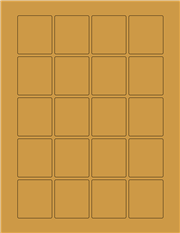 I know the filler trays are something we are looking to carry in the future... so stay tuned! Make sure you sign up for our emails, look at our facebook page for updates, as well as the 'NEW' section of our website. COMMENTS: I used this product for lip balm when I had one of my craft days at my house. I used a lip balm filler tray and the tubes fit perfectly. Easy peasy! There is nothing I did not like about this product. It is a great size for lip balm. Just enough, not too much. BTW: I also put lotion bar in my lip balm tubes to use on the go on my eczema, minor cuts, and minor burns (watch out for that hot plate at the Mexican restaurant!). It is a really nice touch to add a label or seal to your finished product. I don't currently sell, but make a LOT for friends and family. I also teach other people how to make it on craft day at my house. • Fits my lip balm filler tray. COMMENTS: My customers really like these tubes, they are very sturdy and look wonderful. I use them not only for lip balms but mini solid perfume sticks. COMMENTS: Great travel mini lotion bar. COMMENTS: I like the shape of this tube because it does not roll off the table and it's shape allows you to have a larger label with more product information. It is very sturdy in construction and the finished product looks professional; the caps fit well. Since I purchased a mold that will hold 40 tubes at a time, they are easy to fill. I use them for lip balms and solid perfume and they are worth the extra cost; I have tried the round ones that allow you to buy different colored caps but these are sturdier. I do use the round ones for some of my solid perfumes as the different colored caps make it easier to distinguish the fragrance used (color coordination). COMMENTS: Perfect size for your purse - I use these all the time! COMMENTS: These are well made and the oval shape easily separates it from lip balms. COMMENTS: I use these for samples of my solid lotion balms. Perfect! COMMENTS: Some clients have no preference of tube shape, but those with a strong opinion usually select this oval style. Nice to use for lips and cuticles, slips nicely in a pocket for gals on the run. I’ve gone through hundreds of these so far and each operates smoothly. It takes a little practice to wrap uniformly, but worth it. I highly recommend WSP’s oval shrink bands for those who sell to retail shops or attend markets. I use WSP’s ¼ ounce polycons with popsicle sticks for sample tasting at market. 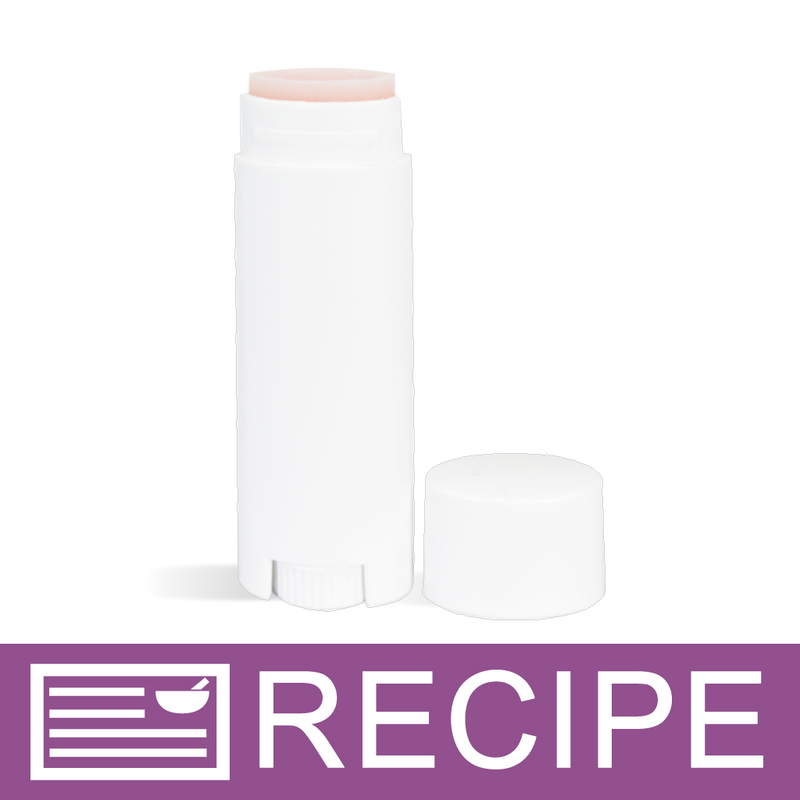 COMMENTS: I've been buying the lip balm tubes from Wholesale supplies plus due to the quality & the great price. I like the oval tops, since its easy to apply & looks great too. I'm planning to buy the bottom separate & try the different colored tops. Would be a great addition for my new range of fruity juicy lipbalms. the twist bottoms work great. Never had issues with a single one. So far so good !!. "Use the all the time"
COMMENTS: These are great -- use them all the time... looks real nice when banded. COMMENTS: Use the ovals for specialty lip products. This helps keep the "specialty" products separate from regular lip balms. My customers know at a glance something is new. COMMENTS: My customers really responded to the new oval shape, not only because it is something relatively new to them...but they also find it easier to apply lip balm that is tinted. More control. The recommended shrink wrap fits perfectly. COMMENTS: The shape of these lip balm tubes are very unique. My customers love them. "What size labels are used for these?" "Is there a tray available for no-mess pouring of liquid balm into tubes?" Staff Answer Unfortunately we do not have a tray available to pour the liquid balm into the tubes. 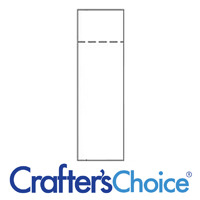 We have successfully used the Crafters Choice™ Loaf - Guest Size - Clear Silicone Mold 1502. They stand up well in the mold because the sides are 1.25" high. We also use our Mix & Pour Funnel Pitcher which allows for a 'controlled stream' and has a narrow spout to pour out of. 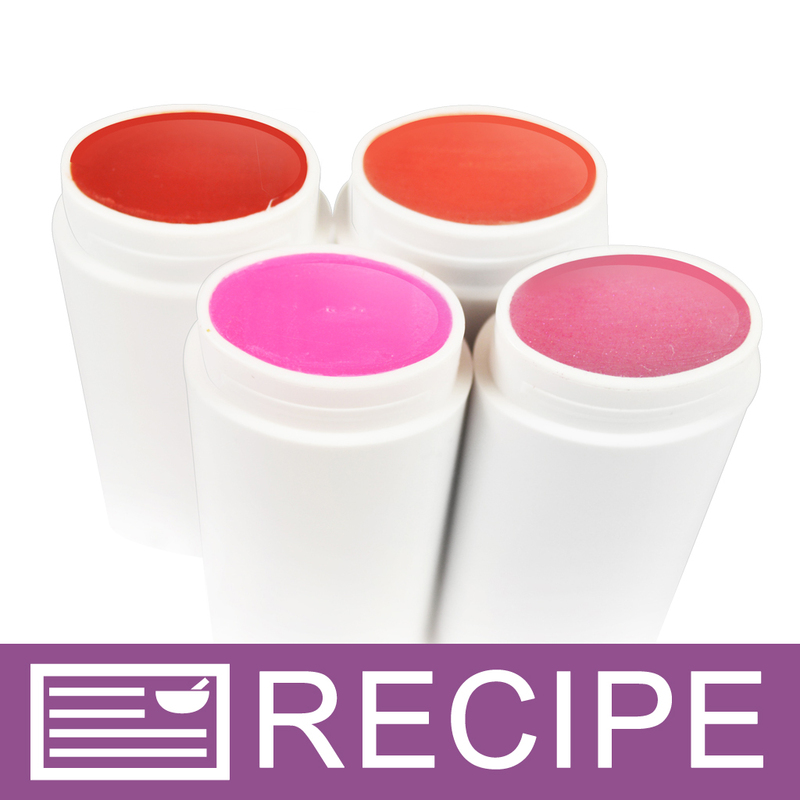 "I made some chap stick using these containers, the containers are fine but my recipe didn't work out very well. Is there a way I can clean them out so in that I do not waste the containers?" I have had the same problem and I have reused the containers. I twisted contents out, returning as much of it as I could to a container. A toothpick works well to get out whatever is left. I found the tubes were pretty much clean since I twisted it all the way up. Using very hot water removed what was left.